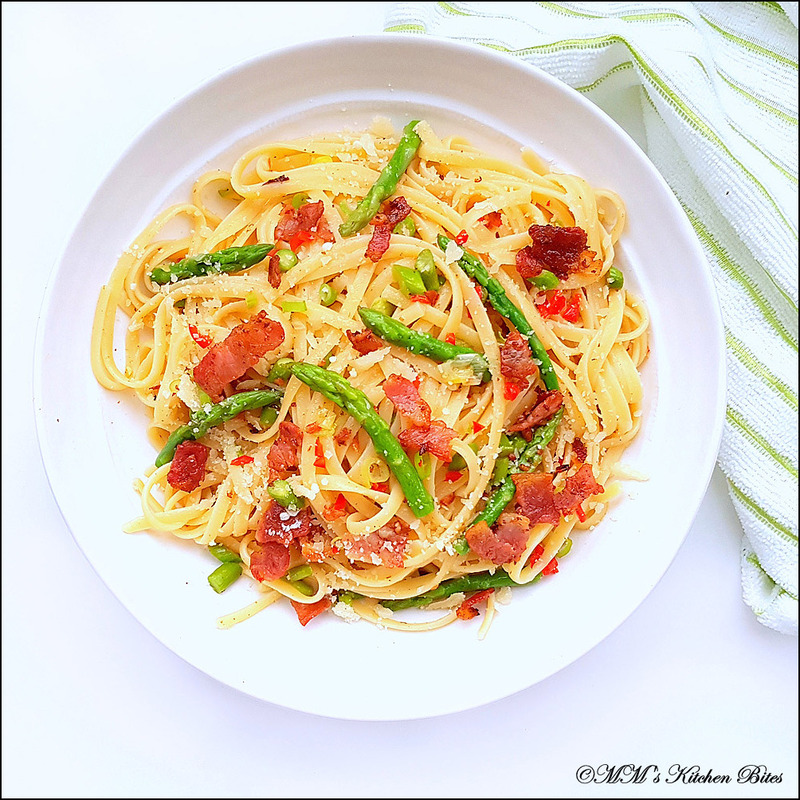 Home Bacon Asparagus Pasta…five to ten, give me more! Cut off about 2 to 3 inches of the asparagus tops and keep aside. Chop the rest of the spears into about ¼ inch pieces. Cook the pasta in a large pot of boiling generously salted water al dente according to package instructions. Add the asparagus tips for the last two minutes of the cooking time. 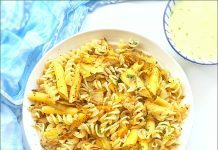 (2 minutes for thick/regular asparagus, 1 minute for fine asparagus) Drain the pasta, reserving a cup of the cooking water. Meanwhile, add bacon to a large saucepan and set over medium-high heat. Cook, stirring frequently, until bacon is crispy. Remove the bacon with a slotted spoon and set aside. Add chopped asparagus bits to the same pan and cook in the bacon fat, tossing and stirring frequently for about 2 minutes until lightly browned. Add spring onion whites and half of the chopped chillies, cook, stirring constantly for about 30 seconds, until fragrant. 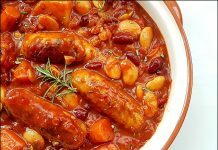 Remove everything with a slotted spoon and set aside with the bacon. Lower the heat and add the white wine (or pasta water) to the pan to deglaze and scrape off the browned bits. Continue cooking until the liquid has reduced by half. Take the pan off the heat. Add the pasta with asparagus tips, previously cooked bacon and asparagus stalks, lemon juice, lemon zest, remaining chopped red chilli, spring onions greens, pepper and butter to the pan. Toss together until butter melts. Stir in most of the grated cheese and extra pasta water, stirring until desired consistency is reached. Sprinkle pasta with remaining cheese and serve immediately. I normally cook the asparagus tips with pasta if using Fine Slender spears…and in the pan to slightly char/brown/caramelise if using the Regular/Giant/Jubilee spears – toss the tips in the pan along with the chopped spears. 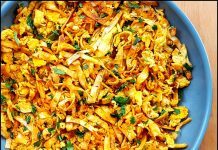 Previous articlePotato Salad with Avocado dressing (and Wild Garlic)…go wild! Next articleEasy Almond Cake…Sweet beginnings! !